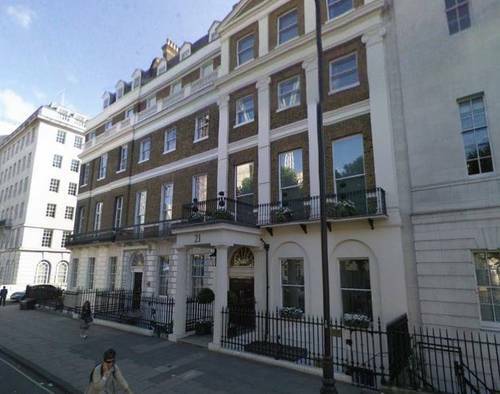 This "elegant 18th century listed building" in London (21 Portland Place), was "originally built as a 'palace' on the 'Grandest Street in London"1. Since 2003, it houses the Association of Anaesthetists of Great Britain and Ireland, with the Anaesthesia Heritage Centre and Museum. 1. 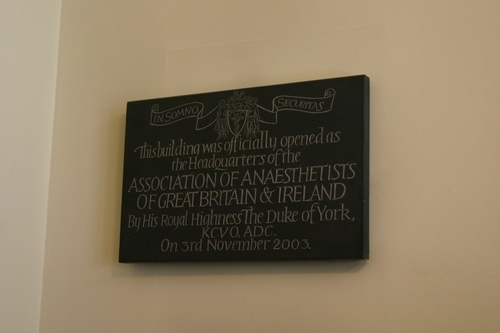 The Association of Anaesthetists of Great Britain and Ireland, The Opening of 21 Portland Place by His Royal Highness, The Duke of York, Monday 3rd November 2003, AAGBI, London 2003, (p.6).